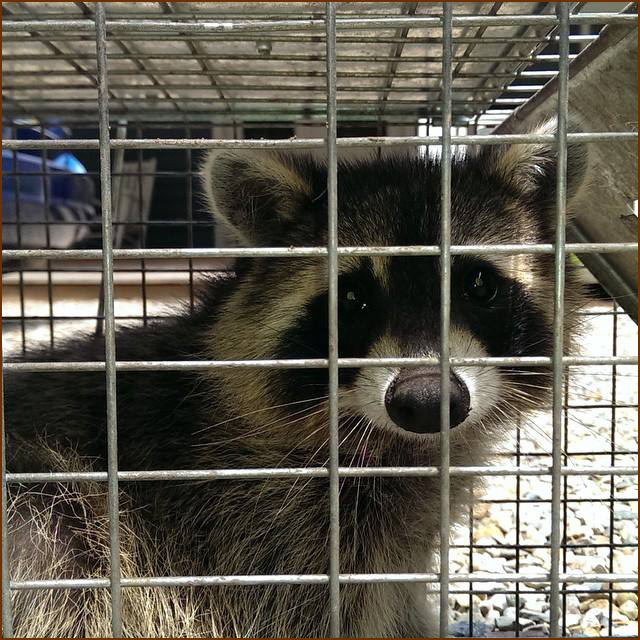 Raccoon Removal and Raccoon Control Services! Raccoon Removal services are provided by Hayman Wildlife Management professional technicians throughout Berrien, Van Buren, Cass County and surrounding cities and towns. Raccoons are considered nuisance pest because the extensive damage they create to homes attics and other dwellings. Nuisance Raccoons of Michigan will commonly get into attics, chimneys, and other type of dwellings. Once these animals are inside a structure they can cause major damage in a short amount of time. As soon as you discover an animal has invaded your home call Hayman Wildlife Management today to have these nuisance raccoons removed. We provide complete raccoon removal services throughout Benton Harbor, St Joseph, Stevensville, Berrien Springs and surrounding areas. Raccoon calls are received daily by homeowners, with complaints of raccoon infestation problems. The most common complaints are listed here. These are all common raccoon control complaints that we received throughout Benton Harbor, St Joseph, Stevensville, Berrien Springs and surrounding areas. Raccoon Removal in Berrien County is a common concern of residents. Despite these animals cute furry appearance, they are quite destructive. If a raccoon has gotten into your home, attic, chimney, or any other dwelling they should be removed quickly before serious damage is done. There are several methods used to get rid of raccoons such as raccoon trapping and raccoon exclusions. Regardless of the method used a professional Wildlife Control technician should be the one you call to resolve raccoon conflicts. Raccoon Trapping is one way to get rid of raccoons in the home. This will physically remove the animal but will not ensure another raccoon won’t move in, especially a male raccoon. If the raccoons are trapped and no raccoon proofing is done to the home another raccoon may move in. Why? A male raccoon will pick up the scent of the female and access your attic the same way the prior raccoon did. Raccoon trapping should only be used in conduction with raccoon proofing your home. There are situations where raccoon trapping may be the suggested method of removal but these cases are rare. These situations would be a raccoon living in your yard, eating your pet’s food, or tearing up your garbage. One thing to consider in these instances trapping a raccoon will get rid of that one but will not prevent another one from causing the same problems. Whatever they problem may be our Wildlife Control technicians can make suggestions and provide solutions to all type of raccoon problems. If a raccoon has inhabited a dwelling the preferred method of removal is an exclusion. 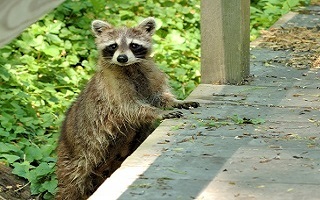 A Raccoon Exclusion is the most humane method to get rid of raccoons, an exclusion is the process of allowing the animal to exit the dwelling naturally without harm or stress placed not the animal. Once the animal has exited the home and verified to be gone by a wildlife control technician the dwelling is then raccoon proofed to prevent animal reentry. 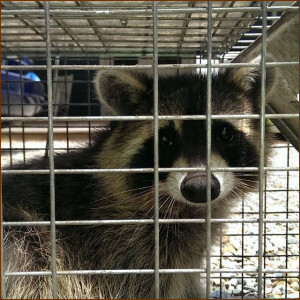 Hayman Wildlife Management performs Raccoon Exclusions throughout the Southwest Michigan areas.